Viewing 24 of 1511 items. 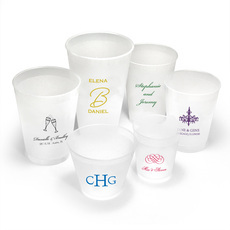 Personalized disposable or reusable shatterproof frosted cups are perfect for your wedding bar, rehearsal dinner, engagement party beverages or bridal showers. 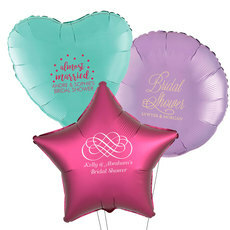 Many bridal and wedding designs to..
A Stationery Studio exclusive! 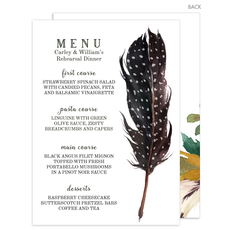 This set of trendy menu cards is perfect for your next event. Back of cards are fully designed. Size of cards is 5" x 7". Flat printed in ink color as shown..
Set of premium thick air-laid paper guest towels with the plush, luxe feel of linen. 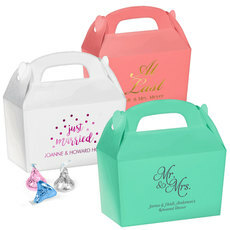 Your choice of guest towel color and imprint color. Typestyle and positioning only as shown. 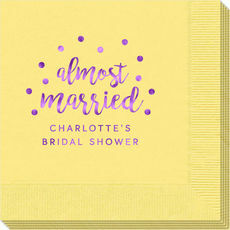 Size of guest towels..
Set of air-laid paper napkins which have the look of linen with a thicker, plusher, more luxe feel with the scroll design as shown and two lines of text. Your choice of napkin size, napkin color and.. This set of beautiful Southwestern themed foldover placecards are ideal for weddings, special dinners or bridal showers. Size 3.5" x 2.5". Flat printed in ink color as shown with your choice..
Set of paper guest towels in your choice of color and imprint color for personalization. Typestyle and positioning only as shown. Approximate size 4.5" x 8". Quality 3-ply guest towels..
Set of quality 3-ply beverage napkins with your choice of napkin color, and imprint color of personalization. Typestyle and positioning only as shown. 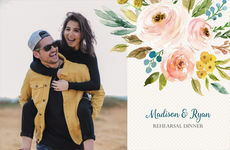 Napkins and imprint colors are are available in..
A Stationery Studio exclusive! 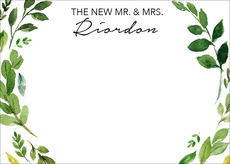 Make your event extra special with personalized placemats. These personalized placemats are available as individual laminated placemats or as a pad of 25 high quality..